You just wrapped up your annual eye exam and you have your new prescription to pick out a pair of eyeglasses. Have you ever been curious to know what the numbers & letters mean for your eyesight? 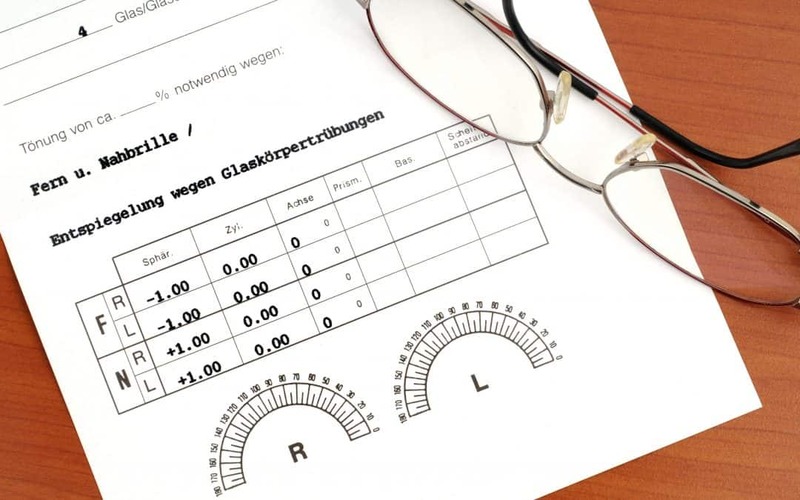 Well, we’re here to help decode your eyeglass prescription in order for you to have a better understanding of what is happening with your vision. Knowing what is going on with your vision can help tell the full story of your overall health. Let’s start by going over what O.D. and O.S. mean. They are abbreviations for oculus dexter and oculus sinister, which are Latin terms for the right eye and left eye, respectively. You can find these abbreviations on the left side of the script! Note that the information for your right eye (O.D.) is listed above your left eye (O.S.) as this is the order that your Optometrist evaluates your vision. At the top of your prescription, you will see additional abbreviations for SPH, CYL, AXIS, ADD, Prism, and Base. This language represents the measurements of detailed aspects of your prescription. Let’s break out each abbreviation to gain more of an insight. SPH (or Sphere) designates the amount of lens power that is needed in order to correct nearsightedness or farsightedness. You will also notice that there is a plus or minus sign in front of the numbers indicating if you are nearsighted (-) or farsighted (+). CYL (or Cylinder) indicates you have a condition where the cornea and/or lens of the eye are irregularly shaped causing blurred vision, in other words, astigmatism. You may find a number listed which helps determine the amount of lens power that is needed to correct astigmatism. If you do not see a number listed, good news, that means you do not have astigmatism. AXIS defines the direction of your astigmatism. This number ranges from 1 to 180. Prism indicates the amount of prismatic power to counteract for any eye alignment problems. Meanwhile, the Base shows the direction of a prism by marking the relative position of its densest edge. Now that you decoded your RX, what type of vision do you have? Single vision means your lens power will correct for either nearsighted or farsighted, but not both. If the Optometrist states that you require bifocal or multifocal lenses, your lens power will need to correct for both far away and up close, and occasionally intermediate range vision. Understanding your eyeglass prescription can help you make a smart decision when it comes to selecting the perfect frame and lens for your vision. Has it been a while since your last eye exam? It may be time for a new prescription! Schedule your eye exam today at any of our 20/20 Image Eye Centers location!